Are you frustrated sending responses to your customer inquiries manually? Are you in a pain to send it a monotonous and same to same email response to every category of inquiry? 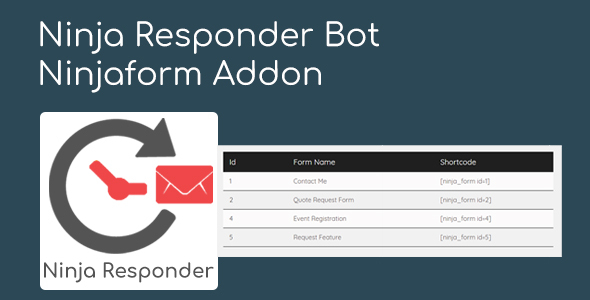 Well ..your worry stops here as we bring you Ninja Responder Bot – Ninjaform Addon : which responses automatically when an inquiry has been sent to you by any consumer/customer. Made on the top of ninja form so you can use all functionalities of ninjaform as it is.